How to color cells in column A if cells in other columns relating to those column A cells are filled in? Column A contains student names. The other columns show work that is missing or incomplete. 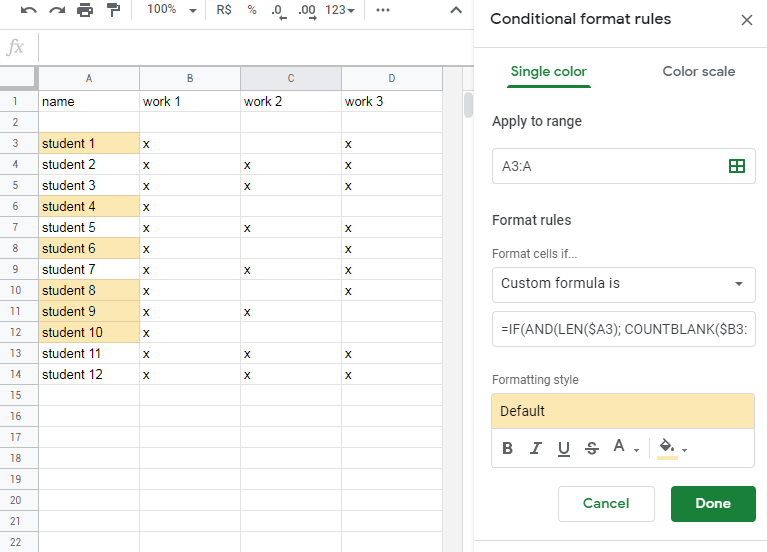 I'd like to be able to have cells in column A colored in if work from various classes is missing, without setting individual conditional assignments for each column (other than A). I don't know how to refer to all the other columns in ONE formula. Not the answer you're looking for? 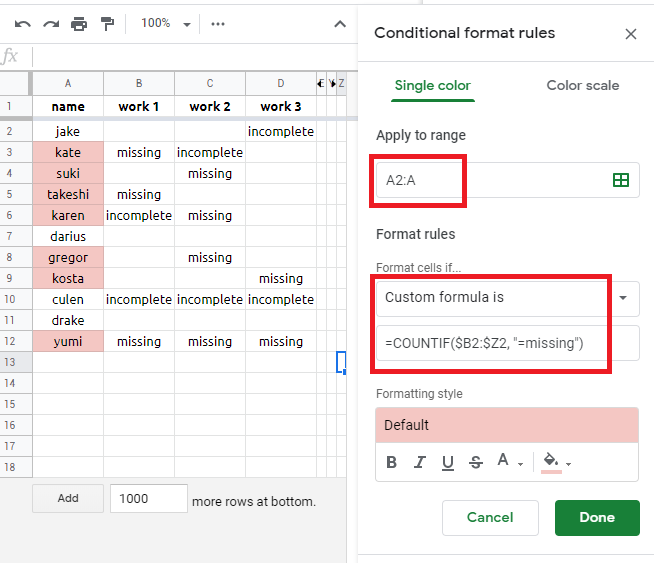 Browse other questions tagged google-sheets formulas conditional-formatting or ask your own question. How can I share individual columns of an online spreadsheet? Why is this conditional formatting still highlighting cells that don't meet the condition? Google Sheets: How can I combine multiple ImportXML results for multiple URLs into a single column?